Gibraltar is one of those odd little principalities that I visited more out of curiousity than anything else. It is a British Territory located in the Iberian Peninsula bordered by the south of Spain. It has quirky appeal, with British Pubs, driving on the left side of the road and of course the huge rock that gives Gibraltar its name. We drove into Gibraltar and there is a rather fascinating circuit that you drive to switch your car from the right to left hand side of the road. But for me the highlight of Gibraltar were the animals. 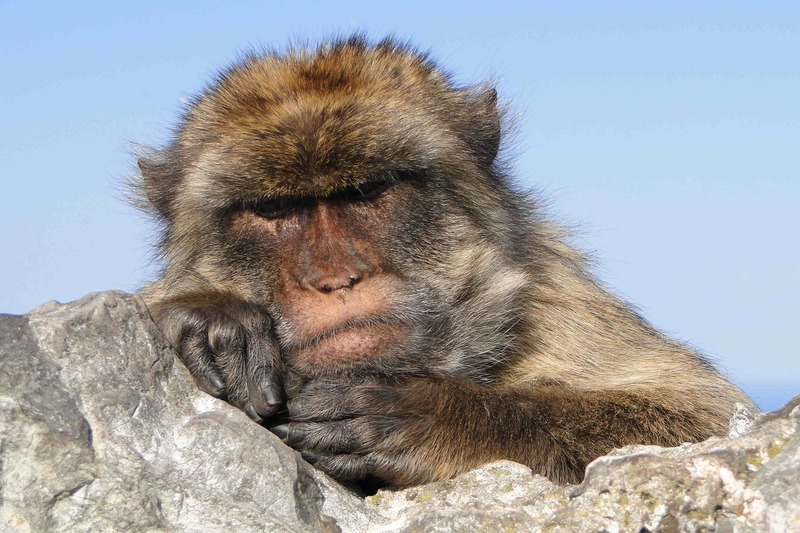 There is a colony of Barbary Macaques that have migrated across the bay from Africa. They sit on the rocks, watching all the tourists and doing not much else. These are the only wild monkeys that in Europe, so they are a bit of fun to see. I think the only thing that Europe is missing is a good safari, so if you are like me then you can get a little fix with these monkeys. Whilst Gibraltar is an interesting day trip if you happen to be in the south of Spain, I wouldn’t recommend going out of your way to visit. If you want British culture, then best go to the homeland, you will find so much more there. That said, if you are craving a taste of Britain, and are travelling in Spain and have had your fill of tapas and Spanish culture, then why not drop in, have some fish and chips and of course see the monkeys. Do they just sit and watch or do they also create trouble for tourists? and shopping is duty free! And there is another reason to go!